Landmark Supreme Court Ruling in Favor of Special Ed Student! 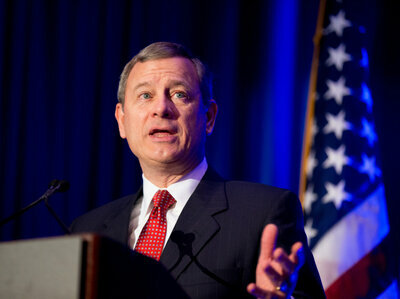 U.S. Supreme Court Chief Justice John Roberts wrote the unanimous opinion in today’s ruling. The case centered on a child with autism and attention deficit disorder whose parents removed him from public school in fifth grade. He went on to make better progress in a private school. His parents argued that the individualized education plan, or IEP, provided by the public school was inadequate, and they sued to compel the school district to pay his private school tuition. The federal Individuals With Disabilities Education Act, or IDEA, guarantees a “Free Appropriate Public Education,” or FAPE, to all students with disabilities. Today’s opinion held that “appropriate” goes farther than what the lower courts held. The case drew a dozen friend-of-the-court briefs from advocates for students with disabilities who argued that it is time to increase rigor, expectations and accommodations for all. Significantly, Judge Neil Gorsuch, currently in confirmation hearings for the Supreme Court’s vacant ninth seat, has repeatedly ruled the other way on similar cases. The Joys & Values of SPAN/START and Sharing Ideas With Other SEPAC Groups. Ms. Alizo is a fiercely dedicated Advocate for Special Education in New Jersey and throughout the nation. Her presentation was very inspiring and informative, as always. If you have yet to hear Ms. Alizo speak, please be sure to attend one of her presentations soon. You will be very glad that you did. who spoke about the issue of Disproportion-ality facing some school districts. Another highlight for me was having the opportunity to meet the very helpful and dedicated members of various Special Ed Parents groups throughout Essex County, including wonderful folks from NEWARK, SOUTH ORANGE/MAPLEWOOD, WEST ORANGE, LIVINGSTON as well as the Special Ed Supervisor from ROSELAND and the Coordinator of Special Services/LDTC from ESSEX FELLS. It was a great night and one filled with ideas for improving our Bloomfield SEPAC! IMPORTANT NOTICE – BLOOMFIELD SEPAC MEETING SCHEDULED FOR 3-15-17, HAS BEEN CANCELLED!!! THIS WEDNESDAY’S BLOOMFIELD SEPAC MEETING at FAIRVIEW SCHOOL HAS BEEN CANCELLED DUE TO THE IMPENDING STORM! KINDLY SPREAD THE WORD TO ANY PARENTS AND SCHOOL STAFF.